If it vibrates, you need to mount it! We have a vast variety of anti vibration isolators that can effectively isolate vibration and remove unwanted noise. We specialize in vibration control. 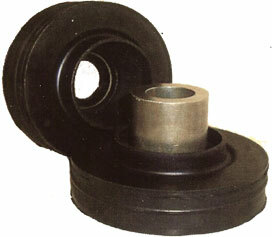 We are a well-recognized supplier of anti vibration mountings. Being an authorized distributor of Trelleborg Industrial AVS located here in the US gives us access to decades of experience of vibration isolation problems all over the world. Trelleborg's trusted brands of Metalastik and Novibra have the reputation of success in achieving vibration control. We cover a wide spectrum of applications. Our principal markets are Industrial, Specialist Vehicles, Marine, and Defense. In the Industrial sector, we have satisfied the requirements of manufacturers of fans, compressors, separators, generators, pumps, wind generators, specialist vehicles, material handling equipment, buildings and bridges. The polymer technologies of TIAVS enable the control of vibration and movement for the protection of people, equipment and the environment. Search our site, or give us a call. Let us take care of that unwanted vibration. We are pleased to announce that Mission Sales and Supply has been named the North American Distributor for Trelleborg Industrial Anti Vibration Systems. We will now be servicing customers in Canada and Mexico. If your company falls in these regions, please contact us so that we can set ourselves up as your source for Trelleborg, Metalastik, and Novibra mounts. As the authorized North American distributor for Trelleborg Industrial Anti-Vibration Systems, we are a well-recognized supplier of anti vibration mounts. With decades of experience with vibration mounts problems all over the world, Novibra and Metalastik mounts today cover a wide spectrum of applications. Our principal markets are Industrial vibration mounts, marine engine mounts, and specialialty vehicles anti vibration mounts. In the Industrial sector, we have satisfied vibration isolator requirements of manufacturers of fans, compressors, separators, generators, pumps, wind generators, specialist vehicles, material handling equipment, buildings and bridges. We now have a large inventory of BMS 4-17 Ty II Hexcel Fibrelam Panels. They are in stock and can typically be shipped out or picked up the same day your order is placed. These are versatile flooring panels suitable for different areas within your aircraft. They are designed to be strong enough to withstand aisles and entries. All of these panels are Boeing qualified and meet FAR 25.853 and 855 appendix F part 1. Manufacturer certificates of conformance are shipped with every panel order. View more information on these panels. Need Help with Durometer Ratings? Our Metalastik and Novibra mounts specialists have put together a tutorial blog to help our customers with durometer ratings. If you have questions about why there are three or four versions of a particular mount and need wonder which one is right for you, visit our newest blog What Durometer is my Mount? One of the areas of vibration control that we excel at is our marine engine mount selection. Our main solutions for marine engine mounts are our Metalastik Cushyfloats and our Novibra SIM vibration isolators. For a more detailed explanation of the importance of marine engine mounts view our Importance of Marine Engine Mounts Page. The strong metal parts of both the Metalastik Cushyfloat and the Novibra SIM and the soft vertical stiffness combined with high stiffness in the longitudinal direction makes it suitable for suspension of marine engines both with and without thrust bearing. Do you have a mount, anti-vibration product, or vibration isolator that has been discontinued or is currently unavailable from you normal supplier (i.e. Lord, Barry Wright)? Contact us to see if we can find the equivalent Metalastik or Novibra solution from Trelleborg. Mission Sales and Supply is now an authorized distributor for Trelleborg Sealing Solutions. Formerly known as Busak+Shamban, Trelleborg Sealing Solutions is a welcome and exciting new member of the products here at Mission Sales and Supply. Thank you for shopping Mission Sales and Supply. 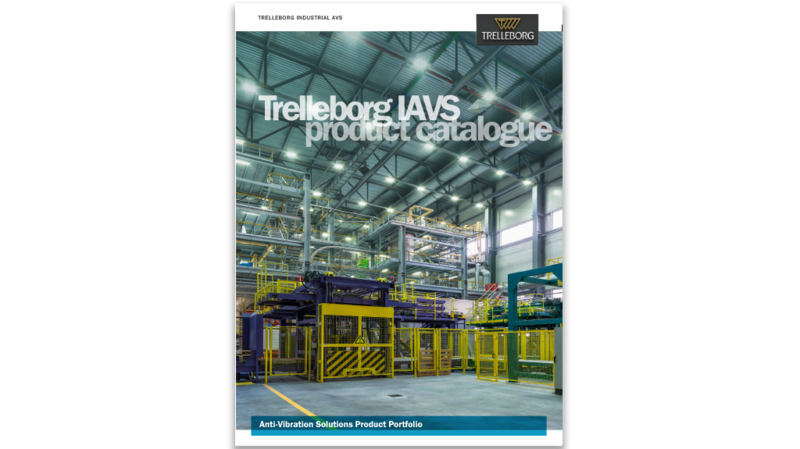 Mission Sales and Supply is a distributor for Trelleborg Industrial AVS.